There is a common misconception that IN behaves equaliy to EXISTS or JOIN in terms of returned results. This is simply not true. To see why not, let's review what each statement does. Returns true if a specified value matches any value in a subquery or a list. Joins 2 resultsets on the joining column. If not read carefully it looks pretty same so far, doesn't it. The difference comes when you take into account the "dreaded" THREE-VALUED LOGIC. The where will return a row only if the condition evaluates to true which UNKNOWN isn't. So let's demonstrate this with some code. I've commented it heavily so it can be self explaining. I've also shown a parser bug in the IN Query. Well… it's a bug if you ask me. It shouldn't behave like that. – IN doesn't get correct results. – NOT IN will return either NOT TRUE or NOT UNKNOWN. And neither can be TRUE. – when there's a NULL in the t1id column of the t2 table the NOT IN query will always return an empty set. We can see that it's best to use EXISTS because it always behaves as the user would think it does. Very nice article. A few of these have come across dotnetkicks in the past month or so (including one from me where I was ranting about the Unknown result from a programmer's standpoint). This is the nicest one so far with the best example. nice Denis. Thanx for sharing. Denis -- that's a good point and a thing to keep in mind when writing any correlated sub-query, with or without using IN(). That's why in general I prefer derived tables -- they tend to be neater and I like the way that each derived table is a complete, self-contained SELECT, and you never need to worry about that issue. Denis's example is what you get when you do not properly reference columns. The unknown column in the subquery does exist in (one of) the table(s) in the main query, so SQL Server can resolve the name, and no error is raised. As you can see, I am selecting from the same table inside the subquery as I am in the overall query. This returns everybody in the table, whereas the subquery by itself returns about 50%. I do not understand why this is and would appreciate your help with this very much. I thought you might say that...He He. 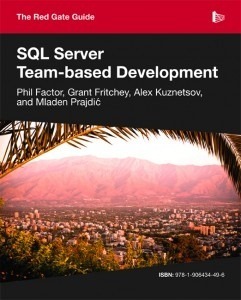 I have developed an application that generates SQL on the fly and subqueries form part of this across many tables. The issue only really comes into it when the subquery table is the same as the outside table. Do you know what the problem is with my original statement and how I can get around it with maintaining the subquery? Thanks! I was banging my head trying to figure out why my NOT IN statement didnt work. I still dont understand why the statement works if it is just IN though. Does a "SELECT A.Afield, B.AnotherField FROM TableA A JOIN TableB B on 1=1" can hurt a DB? Any help? I have been struggling since yesterday. no. that's why you have exists. Thanks for your in-depth analysis. 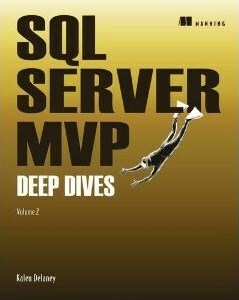 I was specifically looking at understanding the difference between EXISTS and IN keywords w.r.t SQL Server. It seems moot and contrived because would one ever allow NULLs in primary key or foreign key columns? retheredge is saying that this particular example is contrived as you aren't likely going to have a NULL value on any key value like an ID . The overall point about how NULL evaluates as neither "true" or "false" when compared to another value is, on the other hand, a valid one. However, rarely is it the case that tables are joined or otherwise linked using columns that could actually contain NULL values. It's *much* more common "join" on generic, non-NULL integer key (primary or foreign). To sum up, in a majority of data sets in the wild, all there queries will operate the same. Although using (INNER/LEFT/RIGHT/OUTER) JOIN is usually better with respect to shortest processing times. Josh, also the "primary key" in question (t1.id) is *not* NULL because of an OUTER JOIN (the examples used LEFT OUTER JOIN a.k.a. LEFT JOIN, which is not the same as OUTER JOIN a.k.a. FULL OUTER JOIN). Some of the values of t1 are NULL because they are *set* as NULL in t1. Though, t1.id isn't much of a "primary key" anyway as there are 2 separate records in the example data set that have NULL values. t2 is a little more "acceptable" as far as data constraints t2.t1id would be a column acting like a foreign key and t2.id a primary key for t2. If t2. * were added to the outer query select, then you will get NULL values for t2 columns when there aren't any "matching" records as specified by the ON clause (i.e. t1.id=t2.t1id evaluates to "true"). Additionally in the other queries, we aren't comparing t2 columns with the subquery results, we're comparing t1 columns to the subquery (which happens to be querying t2). I would like to add some precision as some person would believe that IN is not a good operator. SELECT 'TEST' + NULL will give NULL as result. The only way to test if a value is null is to use the NULL operator. Returns true if a specified value matches any value in a subquery or a list. This is true. I must add though that IN acts as a INNER JOIN would for matching purpose. It will keep only Lines where both operands matches. Returns true if a subquery contains any rows. Yes this is VERY different from IN. In check if matching occurs, Exists check only if SUBQUERY returns a row. Inner returns only matching lines. LEFT will keep all the records from the left table (select * from table1 left join table2 on table1.id = table2.id in this query table1) and ADD NULLS value to the columns of table2 so that each line of table1 has at least 1 matching lines. And you can guess it right is the other way around. It will keep all the lines of the RIGHT table on the join statement. Great article, Mladen and thanks for sharing! Hehe, a very good article. Always useful, even if its almost two years old. Now that I know the difference, I wonder which one is the fastest one. If I understand the EXIST behavior, the sub-query processing will stop at the first "existing" that matches, making it the fastest one to use. yes you are. i alwsay prefer exists. however the best bet of course is to look at the execution plan. I have a table (LAWSON_APVENMAST1) that contains vendor information. One of the fields (LAWSON_APVENMAST1.TAX_ID) has duplicate records (meaning that there are different vendors with the same Tax ID). I have the following query that will give a list of the TAX_IDs that exist more than once in the table, but I cannot figure out how to return the Vendor Number (LAWSON_APVENMAST1.VENDOR) and Vendor Name (LAWSON_APVENMAST1.VENDOR_VNAME). Awesome, this really helped me!!! The only reason why "not exists ( select * ...)" works is the use of "*" in the select, as not all columns are null. Try changing the "*" to t2.t1id; or adding "UNION ( select NULL,NULL,NULL)" to the end of the inner query. Either one returns an empty set for the same reason that IN does: one cannot safely compare NULL. Thank for this article. It's very informative. 2. Can we use exists and UNION together? I have table customer as mentioned above. I have table T1 with column CustID(numeric) which contains IDs from customer < 10. There is another table T2 with column CID(numeric) which contains values > 10 AND < 15. I want to get all the records from customer whose IDs present either of the tables T1 or T2. To find union, I can use the following query. Please help me find the correct solution for this scenario. Hi! My name is Mladen Prajdić. I'm from Slovenia and currently working as a .Net (C#) and SQL Server developer. I also speak at local user group meetings and conferences like SQLBits and NT Conference. Welcome to my blog. SSMS Tools Pack 4.5 is out with full support for SSMS 17 and various feature improvements. SSMS Tools Pack 4.2 is out with beta support for SSMS 17 RC1, new features and minor bug fixes. SSMS Tools Pack 3.8 is out. New Excel Export feature, support for SSMS 2016 RC1 and various feature improvements.